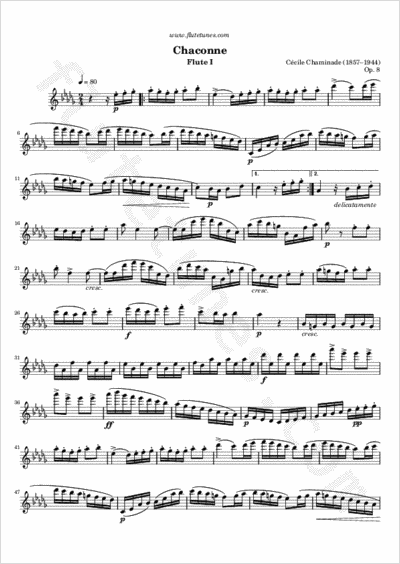 We all know Chaminade's Concertino for flute, but sadly her piano works are rarely performed anymore. That includes the beautiful Chaconne for piano, Op. 8, composed in 1878. It is one of Chaminade's earliest works, written when she was just 21. She dedicated it to Madame Chéné, a professor at the Paris Conservatory. Many thanks to Lily for contributing this arrangement for two flutes!